Math Statistics Lab is the innovator in the undergraduate and graduate teaching of statistics. From the exploratory data analysis to the most difficult concepts of statistical estimation and hypothesis testing theory, the classes taught by the lab members are build upon project based learning and are oriented around questions and answers, student/professor/TA interactions, hands on examples & projects and most of all critical thinking. This course provides a balance between statistical theory and application; offering valuable skills in an area of growing importance across multiple disciplines (Big Data). It contains an important experiential component - where students will participate in a data analysis competition at the end of the class. 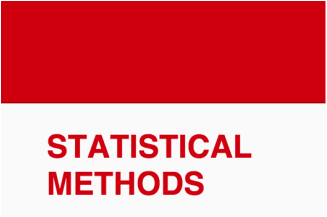 This course provides a thorough statistical theory of two sample hypothesis testing and estimation in regression setting; offering fundamental mathematical skills to all interested in deepening their understanding of statistical concepts. An important component of the class is active and critical participations of the students, in each lecture, where in collaborations with other students or the professor they will provide missing details to the mathematical computations presented to them. This course provides a balance between probability theory, statistical theory and application; offering valuable skills in an area of immense importance today (Data Analysis). 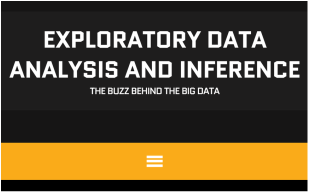 It contains both theoretical and applied components - students will complete missing theoretical computations and provide statistical analysis of real-life datasets. This course was based on the E. Lehman book on "Theory of Point Estimation" with major focus on finite sample theory and shrinkage and admissibility of point estimators. Starting Fall 2018 this course will have endured significant changes including 3-4 textbook changes as well as topic changes. Majority of the effort will be on a modern tools and techniques for asymptotic statistics. This course is a prerequisite for the Statistics PhD program. Lectures are at a PhD level and prepare for the qualifying exam in Mathematical Statistics. This course is based on two books: "Asymptotic Statistics" by S. Van de.Geer and "Theory of Point Estimation" by E. Lehman. Major focus is on large tail bounds and asymptotic theory of M-estimators and their Asymptotic Efficiency study. 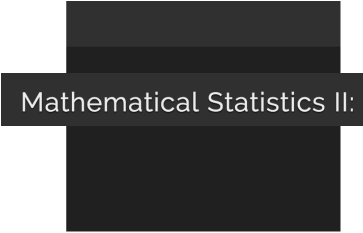 This course is a prerequisite for the Statistics PhD program. This course illustrates state-of-the art methods in statistical learning, bridging the gap between theory and methodology in high dimensional estimation, inference and signal detection. It contains an important reading component - where students read new journal articles and present or implement methods in form of a report or lecture to the whole class. Some of the topics in the Spring 2015 class were: penalized regression, signal detection, false discovery rate, random forests, deep learning, graphical models, etc. Topics course in modern applications of statistics for machine learning, deep learning and data science. The course is centered on statistics applications through python. Topics covered include classification/regression, trees, dimensionality reduction, neural networks, regularizations, convolutional neural networks, transfer learning, etc. This course illustrates state-of-the art methods in computational finance, bridging the gap between methodology and applications of option pricing. An important component of the class is independent reading and final projects presentations - where students present and implement methods in form of a presentation to the whole class.